On September 3, 1881, Rev. C. P. Masden, E. W. Ryan, J. C. Alderson and W. C. Snodgrass of Wheeling, West Virginia, and J. M. Davis, of Oakland, Maryland, rode through “Hoyes Big Pasture,” now known as Mountain Lake Park, looking for suitable grounds to establish a Summer Resort founded upon Christian principles, and designed to afford opportunities for Religious and Literary Instruction and healthful recreation. This wild picturesque spot found “favor in their eyes,” and the four named gentlemen returned to Wheeling, West Virginia, to recommend to their associates the location of this resort in the Glade region of the Allegany Mountains. The first meeting of the parties interested was held in the city of Wheeling, September 9, 1881. The following gentlemen were present: Revs. Dr. Masden, Ryan and T. B. Hughes, and Messrs. A. S. List, C. W. Connor, J. W. Atkinson and J. C. Alderson. September 13, 1881, a second meeting was held. At this meeting Rev. C. P. Masden was elected President; J. C. Alderson, secretary and A. S. List, Treasurer. The purchase of 800 acres of land looked at by the Committee was reported. November 2, 1881, the stockholders of the Mountain Lake Park Association met at “the Park.” Articles of Incorporation had been taken out under the laws of the State of Maryland. The charter members of the Association were Charles P. Masden, Thomas H. Logan, John F. Goucher, John B. Van Meter, and John M. Davis. These gentlemen constituted the first Board of Directors. The grounds were surveyed and platted by H. C. Faul, the engineer who laid out Druid Hill Park at Baltimore, Maryland. Mr. H. C. Faul was assisted in this work by Mr. Henry Artus, J. Lee Phillips and J. A. Enlow, all local men who were then residents of the Park. It has been stated that Mr. Artus was an Austrian nobleman, having lost his fortune, came to America to recoup from his losses. At this meeting the purchase of “Hoyes Big Pasture” for $ 4,672.00 was approved. November 1, 1881, the Baltimore and Ohio Railroad ran an excursion to Mountain Lake Park and a public sale of lots was held. A good number of lots were sold. Among the early purchasers were: Mrs. H. Beacham of Baltimore, W. T. Graham, George Bullard, C. M. Babb, Rev. W. L. Alexander, A. H. Malone, Rev. J. H. Flanigan, Honorable W. H Taw, Rev. A. S. Hank, Mrs. Blake, George W. Atkinson and S. L. Allen. In the spring of 1882, the Tabernacle and Assembly Hall and a restaurant were erected as was also the store building of Messrs. Davis and Townsend. 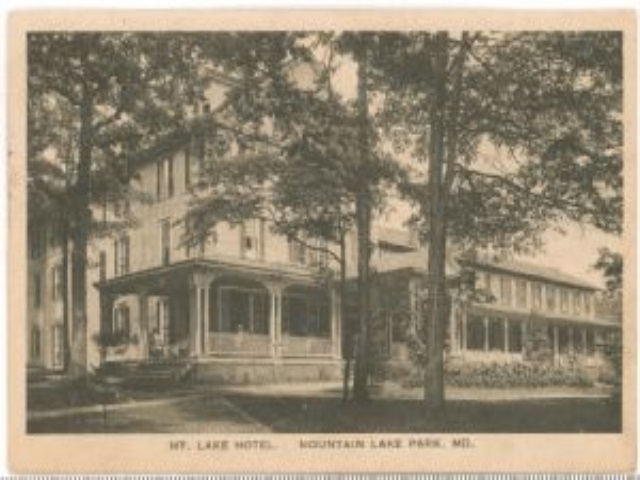 In May 1882, J. M. Jarboe, of Oakland, began the erection of the famous Mountain Lake Hotel. The first Camp Meeting held on these grounds was in the month of July, 1882, under the direction of Dr. Masden, and the first session of the Sunday School Assembly, later known as the Mountain Chautauqua, was held in the early part of August, 1882, and was conducted by Rev. M. M. Grysinger with a program embracing such wonderful talent as Rev. Thomas Guard, Lyman Abbott, Chancellor Simms, Dean Wright and Dr. J. B. Young. Among the first houses built in the Park were those erected by Dr. Logan, A. S. List, J. C. Alderson, J. F. Goucher, J. B. Van Meter, Rev. John Thompson (which is now the “John Thompson Rest Home for Deaconesses”), Messrs. Weaver and Bardall on the corner of Oak and F Streets, Rev. T. B. Hughes on E Street, Rev. Sharp on E Street, C. W. Connor on the corner of Cedar and G Streets. At the annual meeting of the stockholders held August 22, 1882, Dr. T. H. Logan, of Wheeling, West Virginia, was elected President of the Association, Rev. J. M. Davis, Secretary and A. S. List, Treasurer. The following gentlemen constituted the board of directors: Dr. T. H. Logan, J. M. Davis, who was also elected superintendent. For twenty years, thereafter, Mr. Davis was elected a member of the Board of Directors, and for twenty seven years he was the Secretary of the Association. The association office was built in 1883 and enlarged in 1894 by the addition of a room 12x15. The Assembly House was built in the early part of 1885. The Tabernacle was found inadequate to seat the crowds who attended the Camp Meeting and the Chautauqua, and its enlargement became a necessity. In 1894 the structure was widened and sixteen feet added in the rear. Over five hundred chairs were placed in the front of the building and the remaining portion was supplied with new seats. In 1900 the large magnificent auditorium was built. The Bashford Amphitheatre was without question one of the finest and best equipped auditoriums in the country at the time. In 1894 the lake was greatly enlarged so as to cover about 35 more acres of land, at a cost of $11,300.29. An ice house with a capacity of 2500 tons was erected on the East side and a boat house on the West side; a keepers home was also erected. In 1896 a fine livery of boats was placed on the lake, which became one of the attractions of the Park. During the year 1897 these boats returned a profit of $262.92 to the Association treasury. In 1896 the Hall of Philosophy was dedicated and in 1897 the Association purchased the Post Office building from Mr. Sperry for the sum of $540.00. In 1899 the athletic field was laid off and the grand stand erected. The golf course followed in 1900. The first sewer district was put in during the fall of 1899, followed by the water works in 1900. Electric lights were introduced in 1895 from the Oakland plant, and in 1898 the supply was furnished by the Park plant. The Association surrendered its rights to streets, resources from taxation and license to the community of Mountain Lake Park under the laws of the State of Maryland, July 18, 1888. Dr. J. F. Goucher was elected president, J. M. Davis, Secretary and R. W. Armstrong, Treasurer. The Annual Committee was composed of: J. M. Davis, G. C. Sturgiss, G. I. Richardson, H. G. Sharp and S. L. Allen. The following gentlemen have filled the office of president : Dr. C. P. Masden, 1881; Dr. T. H. Logan, 1882; Dr. W. M. Frysinger, 1883; Dr. J. B. VanMeter, 1884; and Dr. C. W. Baldwin, 1885. D. E. Offutt succeeded A. S. List as treasurer in 1885, and L. A. Rudisill became superintendent September 1, 1891. The Superintendents of the Sunday School Assembly and Chautauqua have been Drs. W. M. Frysinger, J. B. VanMeter, C. W. Baldwin and W. L. Davidson, who was elected to this position in the year 1890. From 1890 to 1900 the Mountain Lake Hotel doubled its capacity; Hotel Dennett and Hotel Chautauqua were enlarged. Hotel Columbia and Mt. View Home had been built. It will be noticed that the stockholders, with a limited capital of $15,000.00 undertook to make the then wilderness “blossom and bloom as a rose.” How well they succeeded is up to the public and the citizens of Mountain Lake Park to decide. The alder and hazel bushes have disappeared; the swamps that were almost impassable are now beautiful meadows. The thick forest of brush and trees have become delightful building lots; the cow paths are no more, and in their stead are magnificent roads and driveways measuring about 15 miles in length. 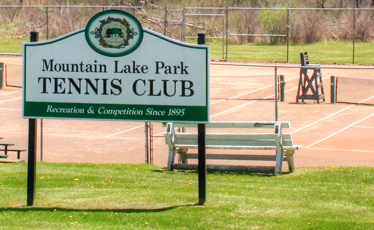 An expenditure of $174,932.34 by the Association and a much larger sum by the community of Mountain Lake Park, made this once valueless and undesirable locality one of the most successful and popular Summer Resorts in the United States with possibilities beyond the conception of man. 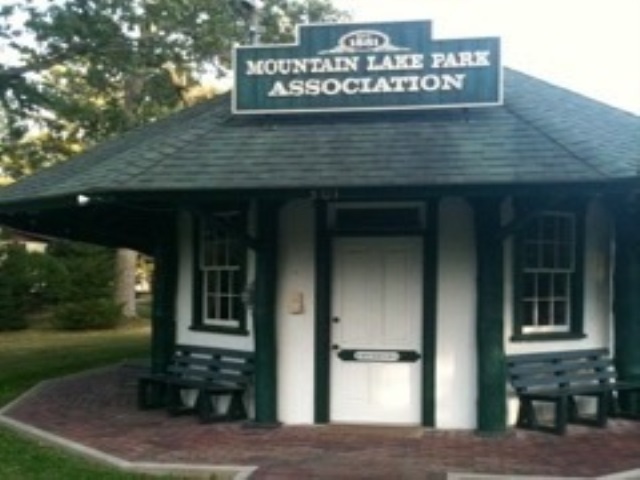 In 1931 the Town of Mountain Lake Park had a new incorporation. At this time provision was made by an act of legislation for the election of a mayor and five councilmen. The Mayor and Council were authorized to appoint judges of elections, and the ballot was granted to all resident real estate owners, their wives or husbands and children. They also were empowered to appoint a clerk and tax collector and to fix his tenure and compensation. He was to sign all appropriations made by the Mayor and Council as well as to keep a record of their proceedings. The Mayor and Council also appointed a treasurer, who is required to keep an account of all receipts and disbursements. The Mayor and Council might select a justice of the peace of the district to be police justice of the town. They were given limited licensing powers and authorized to provide for the introduction of water, gas, electric lights and street railways into the town (Acts 1931, Ch. 507). An act requiring the Mayor and Councilmen to be bonafide owners of real estate in the town in the value of $300.00 was passed in 1933 (Acts 1933, Ch. 578). Otherwise there have been no changes in the provisions of the Charter of 1931. August 12th, 1931. The first Mayor and Council held their first meeting. McClelland Clayton was elected their first Mayor, and the following Councilmen were duly elected: F. R. Utterback, W. L. Camden, Albert Schrock and Jamie Elliott. March 18th, 1932. Mayor Clayton resigned and F. R. Utterback was appointed Mayor by the majority of the Council. March 31st, 1932, J. R. Hipsley was appointed councilman to fill the term of office of F. R. Utterback. Different councilmen were then changed from time to time when on July 13th, 1937, at a general election Mayor Utterback defeated Dr. C. Oscar Hall for Mayor and the following councilmen were elected: John L. Fitzwater, Hervey L. Bittner and Harry Turney. Jamie Elliott and Gay Hayden were members of Council who were elected year before. The Park seemed to take on new life for awhile, then some mistakes in government seemed to be made that gave the Park another set back. Mayor Utterback resigned in January, 1938, and Hervey L. Bittner was appointed by the council as acting Mayor. Then in June, 1939, another campaign was put on to try and bring the Park back to its former popularity. At the election on July 11th, 1939, Dr. C. Oscar Hall was elected Mayor over his opponent, Jamie Elliott, who was acting Mayor and a former member of the old council. The successful members of council elected were: Edward P. Kahl, Florence H. Murphy, Mason W. Callis, Melvin W. Calhoun, and John L. Fitzwater. 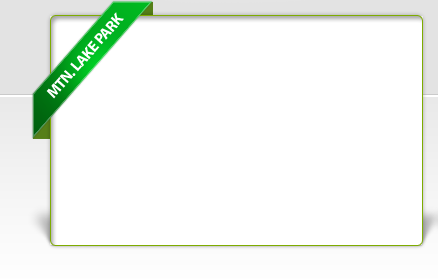 At the first meeting of this new council, an official flag was adopted for the Park and the residences of Mountain Lake Park seem to be well satisfied that the present Mayor and Council will do all it possibly can to bring back some of the former glory to this wonderful mountain summer resort. 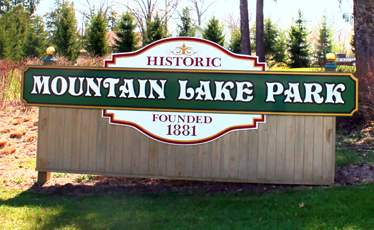 In the year of 1939, we had 254 pieces of assessable property valued at $500,620.00 with 12 miles of improved roads, so it can be seen that Mountain Lake Park has certainly progressed very well with all of its lean years and years of depressions. Officials of Mountain Lake Park, Maryland 1939 - 40. 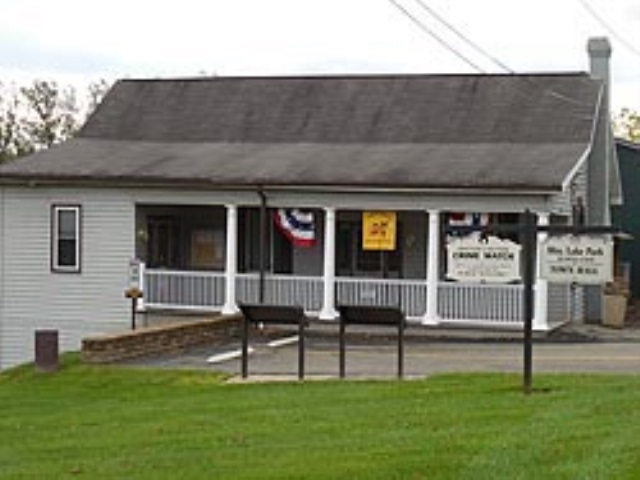 Town Council Meeting - The next meeting will be held on Thursday, May 2, 2019 at 6 PM. For more information and to verify the date and time, please call 301-334-2250. Last Day to Register to Vote in Municipal Elections is 5/14/19 - For more information, see Elections section above. Leaf truck is back! and is picking up leaves! After the town crew has caught up with the winter left-over leaves, they will pick up weekly, on Thursdays. Brush Pickup - will resume on April 26th and will continue on the last Friday of each month through September 2019. 2020 Census News - Click here for link to Maryland's website. * Lost & Found - A set of keys were found in the road by the tennis courts. To claim them, please visit the Town Hall during regular office hours. The Answers Have Arrived - In June 2018 the Mayor and Town Council of Mountain Lake Park hosted a public meeting regarding the proposed Oakland Bypass. Local residents had a lot of questions for the officials from the Maryland Dept. of Transportation (MDOT) who were in attendance. Mark Stutzman, on behalf of Engage Mountain Maryland, compiled our questions. Click here to read the responses. 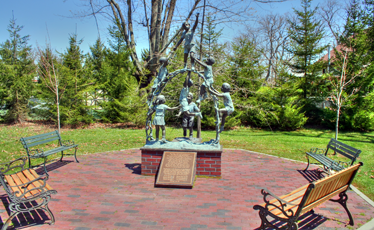 Town Parks are equipped with video surveillance. All parks and walking trails in town are trash-free. Visitors are to put litter they generate in trash bags and carry it home. This will improve the appearance of parks and trails by removing trash cans that detract from the beauty of the environment. 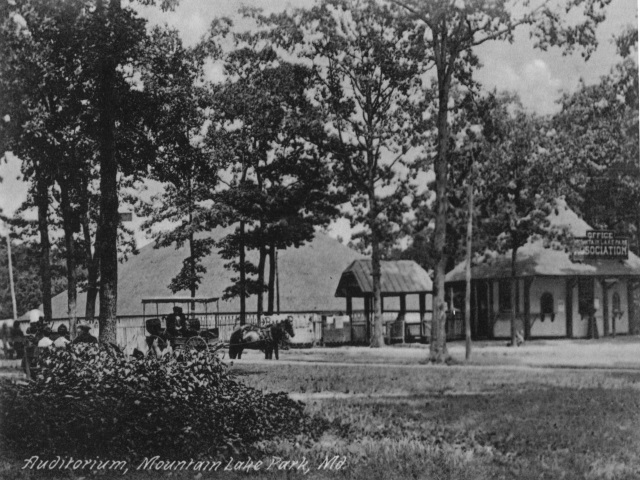 In 1881, Mountain Lake Park was purchased as 800 acres for the sum of $4,672. Today, the town has expanded to 1280 acres with an assessed value over $100,000,000.